Trump addressed the issue Monday evening on Twitter. North Korean leader Kim Jong Un said Sunday in his annual New Year's address that preparations for launching an ICBM have “reached the final stage.” He did not explicitly say a test was imminent. It was unclear if Trump meant he would stop North Korea or he was simply doubting the country's capabilities. His aides did not immediately respond to questions seeking clarification. President-elect Donald Trump is showing little sign of forgiving his critics as he prepares to move into the Oval Office. He continued: “I thought and felt I would win big, easily over the fabled 270” electoral votes. Trump's continued focus on his unexpected Nov. 8 victory comes as he works behind closed doors to shape his new administration. He's set to be sworn into office in just 18 days. 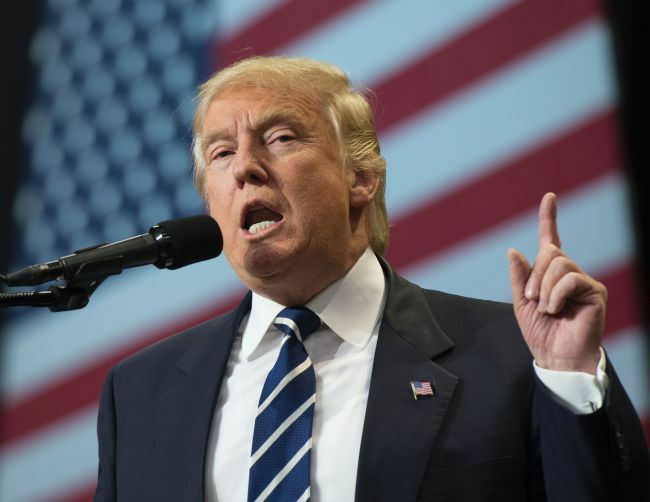 President-elect Donald Trump says Rahm Emanuel, Chicago's mayor and President Barack Obama's former chief of staff, should ask for federal assistance if he can't bring down the city's rising homicide tally. The nation's third largest city had 762 homicides in 2016 _ the most in two decades and more than the largest cities, New York and Los Angeles, combined. The Chicago Police Department says the city had 1,100 more shootings last year than in 2015. The statistics have put Chicago at the center of a national dialogue about gun violence. Emanuel's spokesman Adam Collins responded with a carefully worded statement in which he says if the federal government really wants to help it can do things like fund summer jobs programs for at-risk youth and pass meaningful gun laws. Incoming White House press secretary Sean Spicer is defending cryptic comments by President-elect Donald Trump that he knows “things that other people don't know” when it comes to allegations of Russian hacking. Spicer tells Fox News Channel's “Fox & Friends” that Trump is getting national security briefings “on a daily basis” and “there doesn't seem to be conclusive evidence” Russians were behind the hacking of Democratic emails during the election. Spicer also dismissed on Monday a report released by the FBI and Homeland Security Department supporting the accusations against Russia, calling it a “how-to” manual on basic cybersecurity for Democrats. In an interview on NBC's “Today Show,” Spicer said President Barack Obama only punished Russia after Democrat Hillary Clinton lost the election and that the recent sanctions were politically motivated.